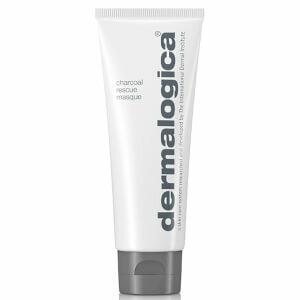 Combat breakouts and control shine with the Dermalogica Sebum Clearing Masque; a soothing treatment specifically developed for oily and combination skin types. Fortified with oil absorbing clays, the detoxifying formula works to absorb excess sebum while Salicylic Acid activates natural exfoliation to unclog pores and reveal a more even and balanced surface layer. A selection of cooling botanicals help alleviate feelings of redness and irritation. Used topically on spots or as an all-over face mask, it leaves the complexion feeling calm, comfortable and decongested, with blemishes and imperfections visibly reduced. Apply a smooth layer to cleansed face and throat (avoiding the eye area) 3 times per week. May also be used exclusively on the T-zone. Leave on for 10 minutes, then rinse thoroughly with warm water. Tip: Use as a spot treatment masque to help target and clear breakouts.